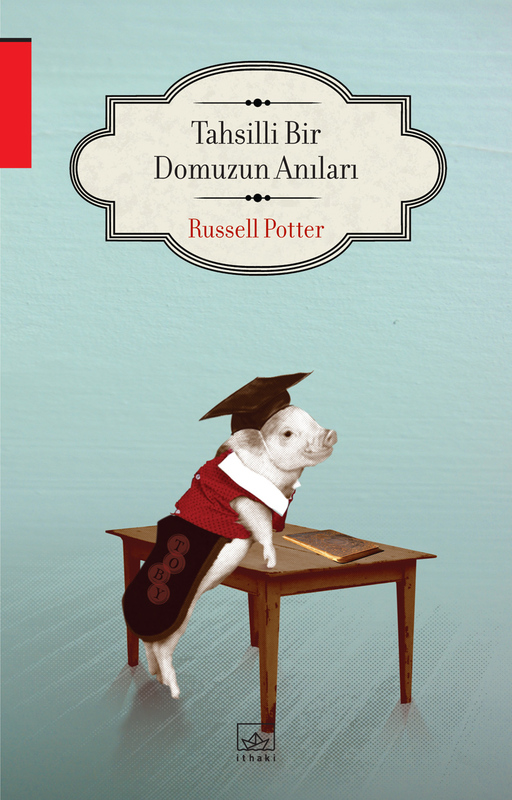 Toby's progress around the world takes a new and delightful turn this week with his appearance in a Turkish translation published by Ithaki, which debuts today at the Istanbul Book Fair. I feel honored to be in the company of many of the authors whose works have been translated and published in Turkey by Ithaki; it includes literary lights from Orwell to Woolf, and fantasists from Verne to Bradbury to Tolkien. The translator of PYG, İnci Katırcı, has also translated Daniel Willingham's Why Children Don't Like School and Jonathan Santlofer's Anatomy of Fear. They've done a great job with the cover as well, even providing Toby with a miniature academic mortarboard, along with a gown that has his name embroidered on the lower part! Ithaki is also a very brave and persevering publisher; modern-day Turkey does not always enjoy the same breadth of press freedoms as are found in the United States and the EU, and its offices have been raided in search of manuscripts that the government and the police wanted to suppress, an action condemned by the Turkish Writers Union. I am enormously pleased that they've become Toby's publishers, and wish their new edition all the best. And Toby's journey is not over yet -- next year, he'll be appearing in Italian courtesy of Einaudi -- I can't wait to see how they translate and design the book! -- they are also the publishers of Sam Savage's tale of a book-devouring rat, Firmin (or Firmino as he is known there), so I feel confident they'll do a great job of bringing PYG to Italian readers. Nice post. It shows how rich could a literature be in terms of translation.Through translating shows the rich blend of knowledge and culture in a society.Whether in Turkish translation or in any foreign language translation helps one to get acquainted with the thoughts, traditions, principles and actions of the people from the region. Thanks, Red, for your comment. It is amazing how translation takes a text to so many other places and contexts -- far beyond anything I, as the author, could possibly have anticipated!